Now is your last chance to search out the birthday cakes and dance in front of them. The birthday challenges are set to expire soon, and will be gone for good! Fortnite is a year old, and to celebrate Epic Games have released a new set of cosmetics for you to unlock. Here’s how to dance in front of different Birthday Cakes and earn the Birthday Cake Back Bling. This is similar to the Dance in front of challenges we’ve seen in Fortnite before, but with a bit of the Gnome and Duckie searching challenges mixed in. 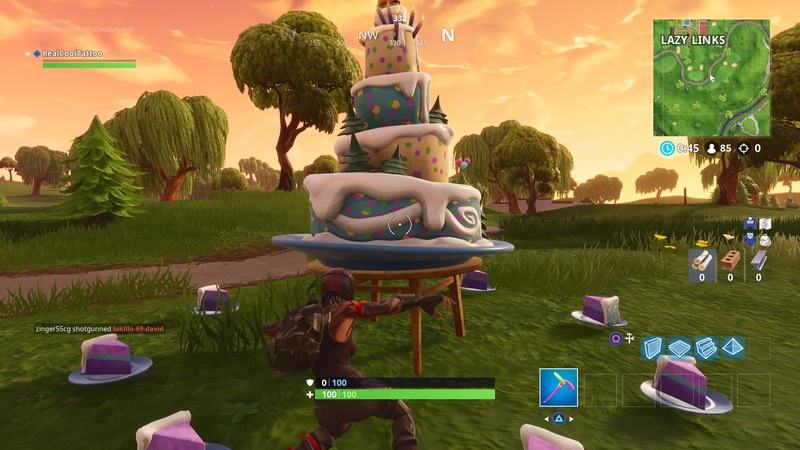 There are Birthday Cakes scattered all around the Fortnite map and to tick them off and have them count towards your progress you’ll have to dance right next to them. The challenge was initially bugged for some players, but it seems to be fixed and working again for everyone. You can use any dance emote you like – we used the Orange Justice dance from the Season 4 Battle Pass – but make sure you get in close so everything registers correctly. 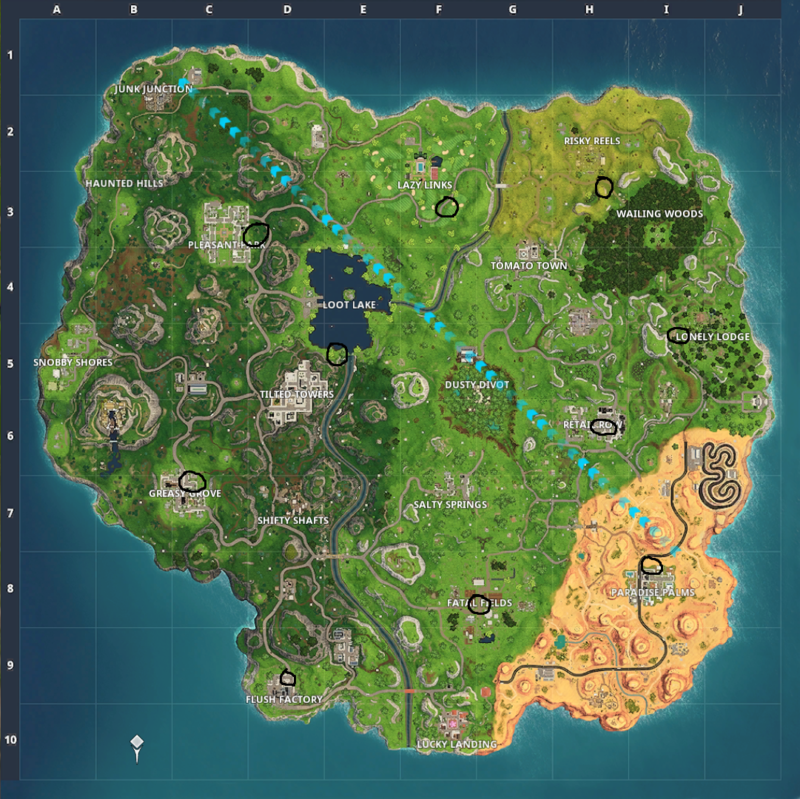 These are all the locations you need to complete the challenge, but if we find more, we’ll add them below.